← Get Ahead During Sports Seasons with these Award Ideas! Fall is here and it’s time to transform your living space into an autumn-inspired home! If you’re looking to make your home trendy yet outstanding from the rest, you’ll want to check out these personalized decor ideas to get the festivities started! 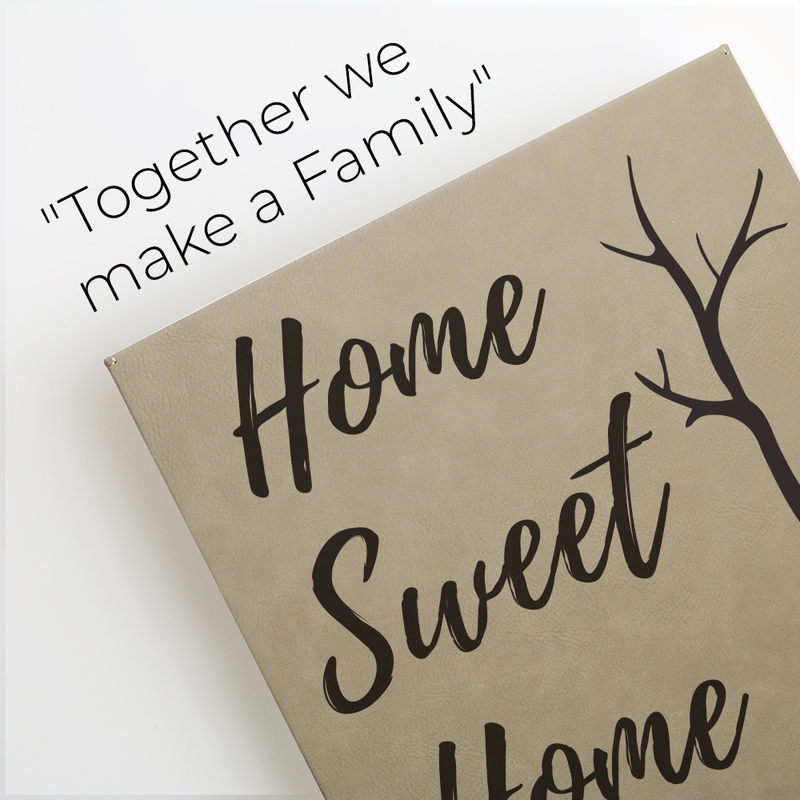 A “Home Sweet Home” Family Wall Art! Nothing represents family, fall, and love better than a personalized wall art! You can start by choosing a blank Leather Wall Decor Plaque in the color than fits the theme of your home best. Then, personalize it with a sweet saying like “Home Sweet Home” or “There’s No Place Like Home”. Add on a cute embellishment or border and sign it off with your family name. The possibilities of how you design your wall art are infinite, but that’s the true beauty of personalized wall decor! Festive Cookie Jars to Warm up the Kitchen! Cookies jars can be more than what it’s named. It can actually double as kitchen decor! 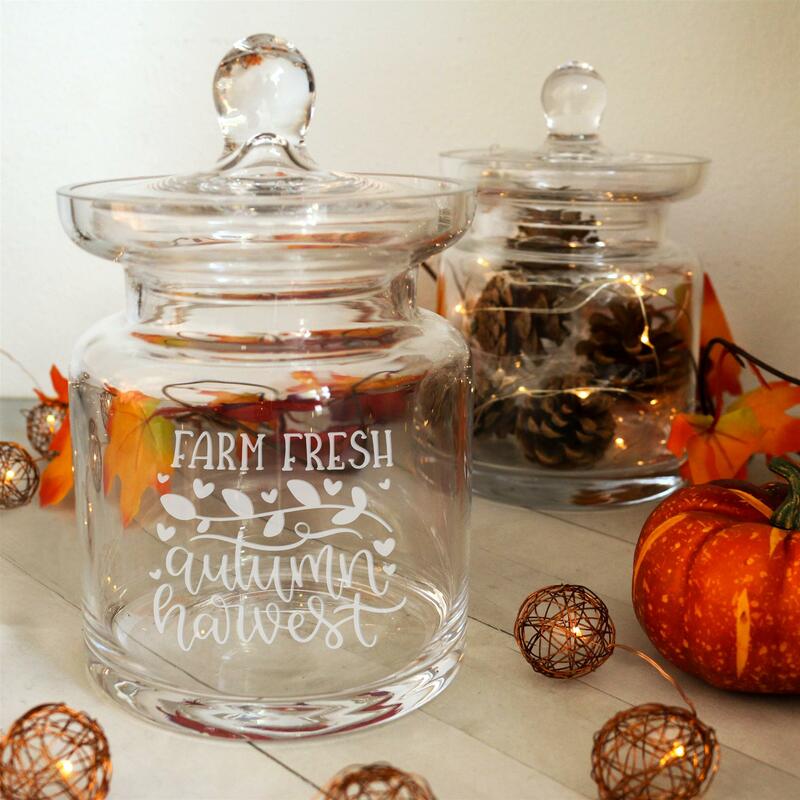 Personalize a Royal Glass Jar with a warm festive quote or caption to introduce the fall season into your kitchen. Fill it with a few pine cones and leaves and throw in some twinkly string lights to add a hint of warmth into this space! This decor tip will warm up your kitchen with that cozy warm feeling that will definitely inspire your next fall dish! Fall Mugs for your Pumpkin Spiced Latte! There’s no better feeling than cozying up by a fireplace with your favorite fall mug filled with pumpkin spiced latte! 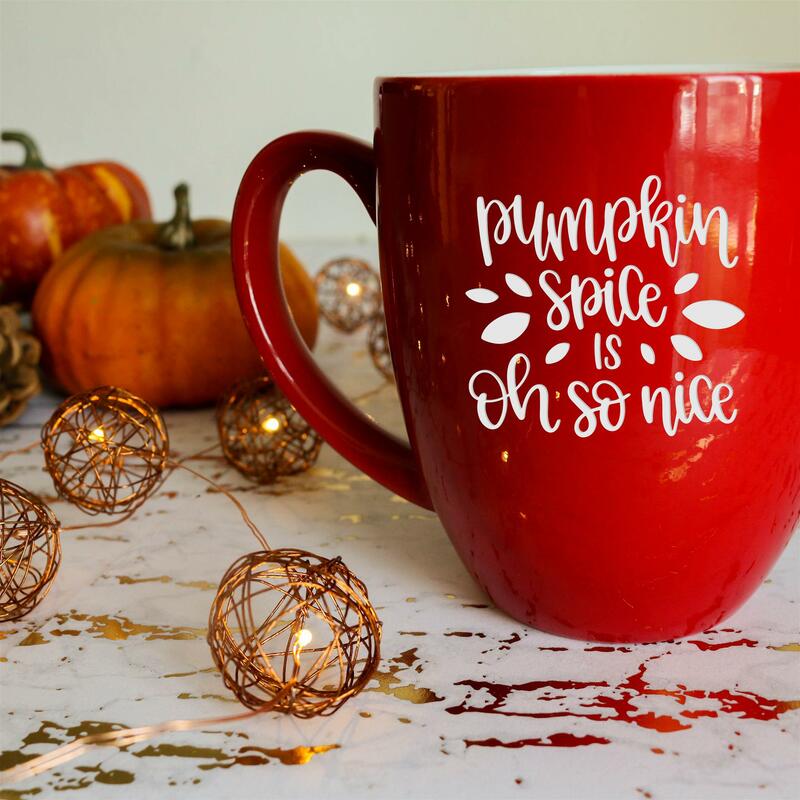 We all love a festive mug to add to the fall atmosphere. You can choose a fall colored mug like the Red Ceramic Bistro Mug and design away! Choose a cute logo or artwork and add on a festive quote. You can design it according to any occasion, but we all know fall season is the best excuse! Personalized Candle Holders to Compliment your Cinnamon-Scented Candle! Bring the fall smells home with your favorite scented candle! 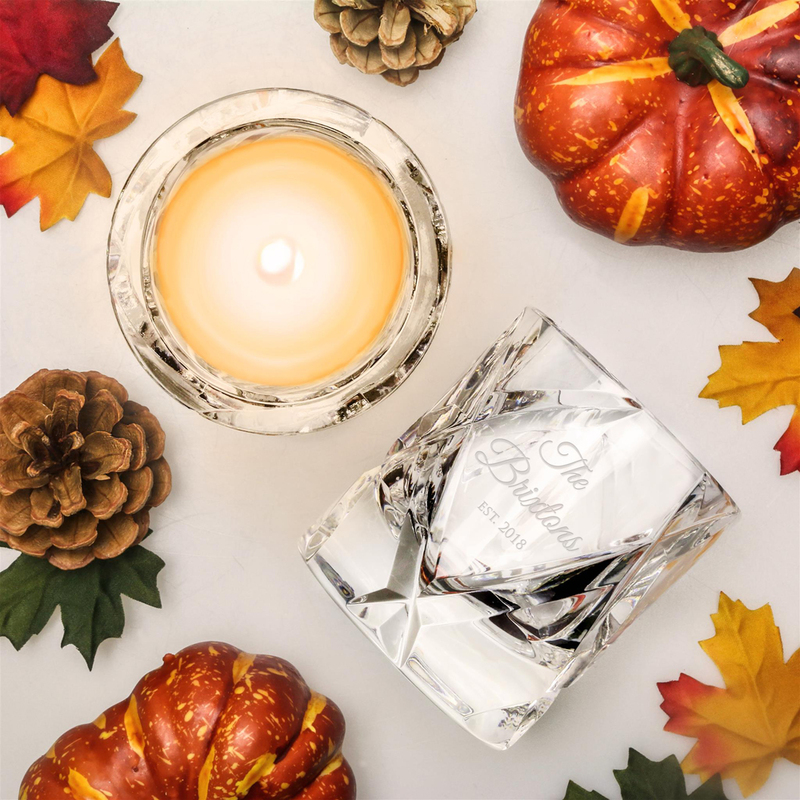 Choose a scent that reminds you of this season and protect it with a clear crystal candle holder. You can personalize it with your family name and a lovely quote to sprinkle in some extra sweetness to your candle. This is the final touch to tie in your entire house together and is simply a staple piece when it comes to all things Fall! These quick and simple tips are designed to turn your home into a cozy space you’ll never want to leave. But do share these decor ideas with your friends! In fact, you can personalize these items for your friends and family to make it extra special for them this season. So, whether you are spreading love and warmth through decorating your home or through sharing cups of hot cocoa with your loved ones, make it personal and turn these precious moments into unforgettable memories! This entry was posted in Uncategorized and tagged 2018 gift ideas, DIY, fall candle holder, fall decor, family wall art, gift ideas, holiday decor, holiday gifts, home decor, interior design, personalization, personalized decor, personalized gifts, pumpkin spiced latte. Bookmark the permalink.